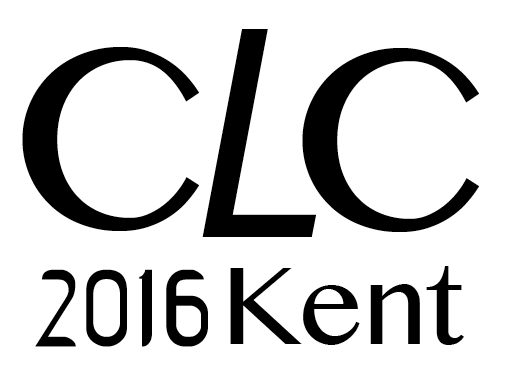 The Call for Stream Proposals is OPEN NOW – please send proposals of no more than 500 words along with short bios of the stream organisers to klsclc2016@kent.ac.uk. The Call for Stream Proposals closes 7 March 2016. The present is notoriously difficult to diagnose. Are we living at a decisive turning point for global and European history, politics and law? Are we witnesses to a new epoch? Or perhaps we just have a bad case of “presentism”? The Critical Legal Conference 2016 will open a forum for critical reflection on precarious political situations, particularly that of Europe in a global context – an apposite theme for a critical conference at the University of Kent, ‘the UK’s European University’ and a point of origin for the CLC. Taking a global and historicised view of contemporary Europe and its intellectual and political traditions (as well as an interrogative stance on their centrality), we anticipate that this year’s CLC will enable a creative response to some of the many problems of our collective present. The difficulty in thinking the present lies partly in its immediacy, and partly in the way in which spaces for that thinking are themselves precarious, colonised, dis-placed, degraded, recast or simply made untenable. From individuals’ housing, employment and migration experiences to the broader question about the intensification or disintegration of the European political project, are life’s very objects and experiences now peculiarly shaped by precarity? Law forms part of the architecture of precarity, shaping both its production and governance, whether through specific rules and regulations relating to welfare provision, housing law or the structuring and regulation of financial markets; or through changing images and enactments of justice, (fragmented) genealogies, and shifting understandings of modernity. One approach within the critical legal tradition has been to expose these architectures: to show how it produces inequity, to demonstrate its contingencies, to trace its genealogies, to question law’s production of a normative order of life. In this sense it might be said that the role of critique is to render law itself precarious. What is the contemporary nature, role and position of academic work generally, in relation to political life and cultural and intellectual history? Are we post-human? Post-Europe? Post-law? Post-critique? And what about the core critical legal concerns: law, justice and ethics? True to the tradition of the CLC, we hope participants will approach these general provocations through a rich plurality of critical and radical thematics and interdisciplinary approaches. We also invite participants to curate screenings, performances, happenings and other creative formats at the conference. Please contact us at klsclc2016@kent.ac.uk with your plans – we will do our best to facilitate them (within the bounds of possibility).